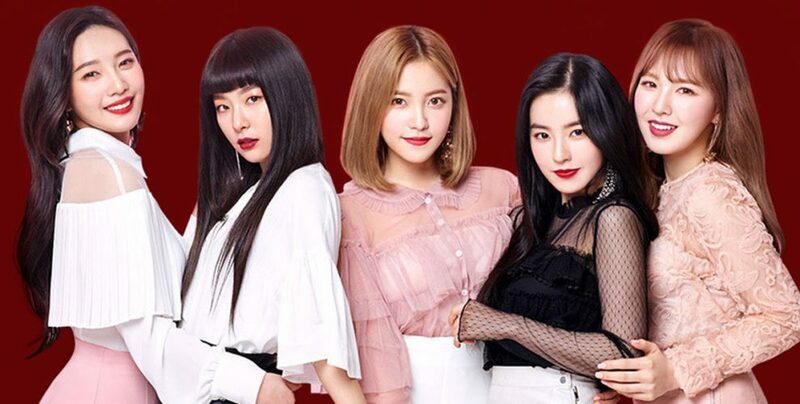 Recently, K-pop girl group Red Velvet was named the new face of Etude House. Taking inspiration from their new muses, Etude House released the Matte Chic Lip Lacquers. 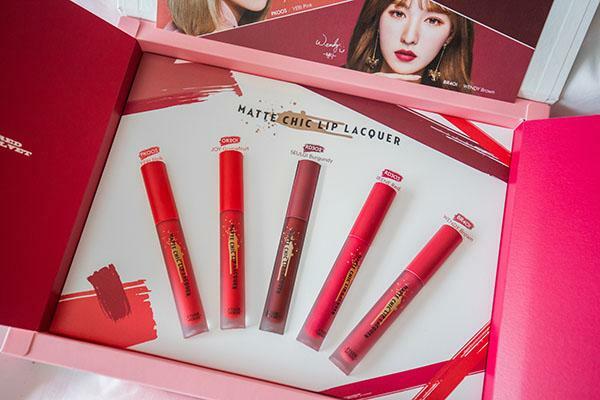 In total, there are 12 lip colours, with 5 of the colours specially created for each of the members of Red Velvet. The shades are IRENE Red, SEULGI Burgundy, JOY Grapefruit, WENDY Brown, YERI Pink. The colours for the collection are based on upcoming 2018 Korean makeup trends. 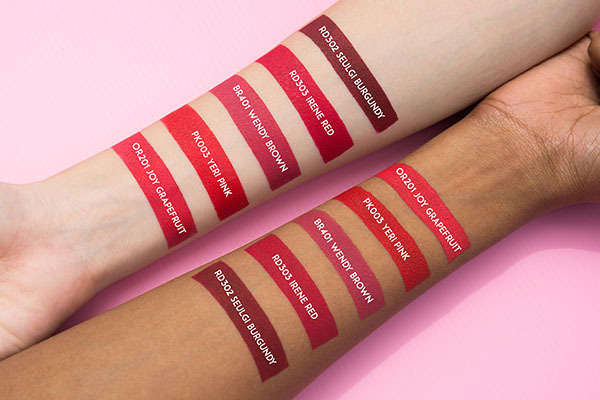 If you’re a fan of the ‘just bitten’, Korean ombre lip effect, you’ll like how the lipstick has a thinner consistency than most matte lipsticks. This way, you have better control over the product when you use your finger to blend your gradient lip. The faded effect created will be more even because the lippie doesn’t dry too quickly. 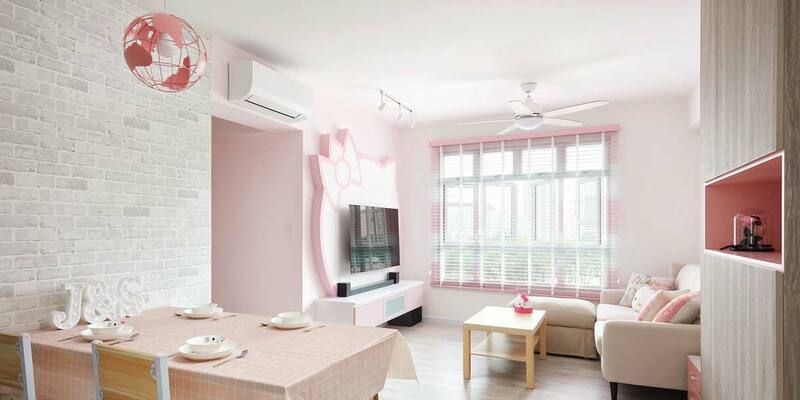 Though its consistency is more similar to Korean lip tints, the matte lipstick has a high-colour payoff, unlike water-based tints. So if you prefer a solid lip, swipe on the Matte Chic Lip Lacquer’s lightweight formula and allow it to dry into its non-tacky, long-lasting finish. During the four hours between application and dinner, our lips didn’t feel dry or flake and there was no need for reapplication. And even after our Korean BBQ dinner, we were amazed how the lippies still stayed on. 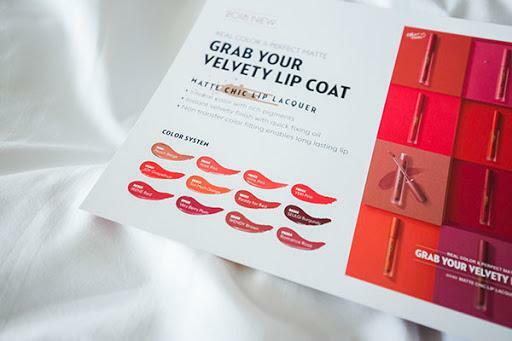 The Matte Chic Lip Lacquer will only be made available in Singapore in June and will retail for S$19.90. This post was kindly sponsored by Etude House.